Does your closet look like a nightmare? An organized wardrobe requires the right tools. So, Michelle Zillman, from the Handbag Hanger, is offering some tips on how to keep your closet looking perfect! Flat out, one of the best changes you can make to your wardrobe. These hangers are everywhere right now – just about every $2 shop and on-line discount store offers them, and there’s a very good reason for their popularity. Their flat shape means that by swapping your hangers to these, you could actually gain up to 1/3 more space in your closet, and the velvety finish protects clothes and keeps them from slipping off. Cheap, and they’ll make you very cheerful! If you have the space for one, a valet rod is a useful tool to have in your wardrobe. It tucks away neatly when not needed, and allows you to put out your next day’s outfit, compare a few items, or assemble your daily wardrobe. A valet rod is one of the best kept secrets of an organized wardrobe. Think of it as an extra pair of hands, rather than a permanent place to hold things. Hook your jacket and tee there while you choose your jeans etc. Unlike a hook that permanently sticks out, a valet rod slides out of the way when you’re done. If you can’t see it, you won’t wear it, which is why open jewelry storage is a great solution, it allows you to see all your fav pieces at once. I prefer hanging organizers for necklaces and bracelets, flat organizers for rings and earrings, but find a system that works for you. Get creative and think outside the box. Many owners of thh – the handbag hanger have written to us saying they’re not only using their hangers for their bags, but they’re also using them to hang all sorts of other items, including necklaces and bracelets (as well as scarves, belts etc). I can’t take credit for this idea, but it makes a whole lot of sense. Just as you want to see all your handbags, have easy access to them, and make sure their always looked after, so too with your jewelry. Use bowls, jars and trays you like to also create jewelry displays. You can also buy plastic fishing tackle boxes for storing jewelry. They have moveable compartments and can be stacked neatly inside drawers. Give it a go! When we take off our favorite outfit, it’s carefully placed onto its hanger, until the next time it’s worn. Your beautiful cashmere jumper is carefully folded and stored neatly away. Jackets, t-shirts, shirts, coats… they all have their own place. Sadly, our treasured, beautiful, sometimes expensive handbags haven’t. Until now. Yes, thanks to the handbag hanger, finally, our handbags have their own place too. If you can make a space on your wardrobe rail that’s just 6.5cm wide, you can fit the Petite hanger (that’s about as long as your lipstick). And if you can make a space just 11.5cm wide, you can fit Grande (about as long as your mascara stick). That’s all you need! This gorgeous Australian invention (which comes beautifully boxed, so makes the perfect gift too), can be shipped anywhere in the world for just a teeny tiny USD $17.35. Now your handbags and purses can be loving cared in the way they deserve to be. It’s one of those things you’ll wonder how you lived without for so long. Pick yours up here. 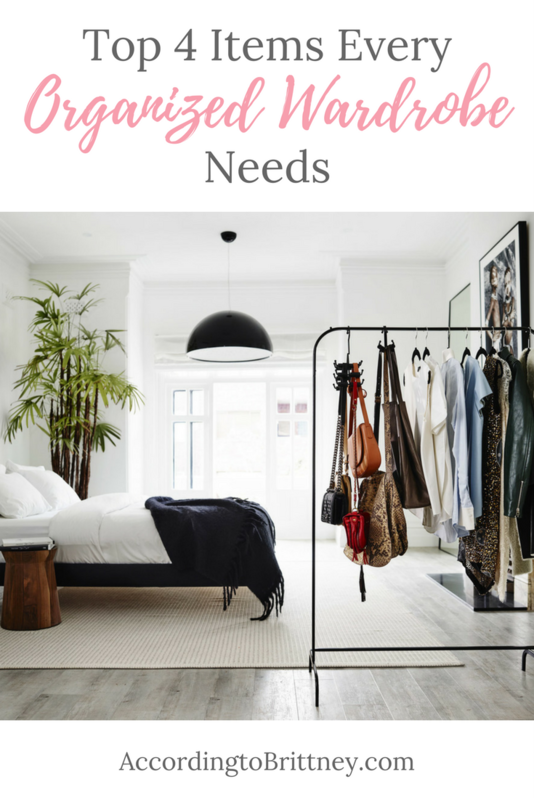 Have another fabulous organizing tips? Comment below!